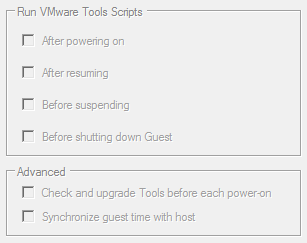 $vCenter = Read-Host "Enter vCenter Server name"
$vmConfigSpec.Tools.ToolsUpgradePolicy = "Manual" # "UpgradeAtPowerCycle"
Just change the $true values to $false if you want to disable the feature. 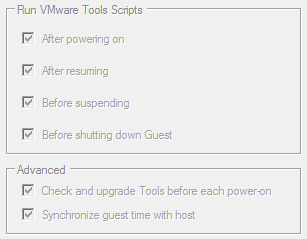 If you want to change the Tools Upgrade Policy to Upgrade at startup just remove "Manual" # and it should change the Policy. 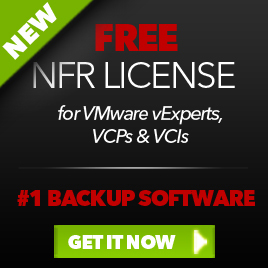 This entry was posted in VMware and tagged PowerCLI, VMware Tools on July 6, 2009 by afokkema. Will this also work on the esx 3.5? 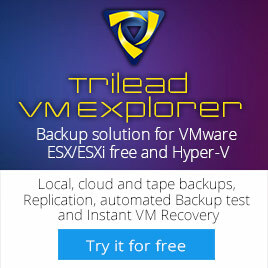 Yes it will work on ESX 3.5. Actually, I have tested this script on it. 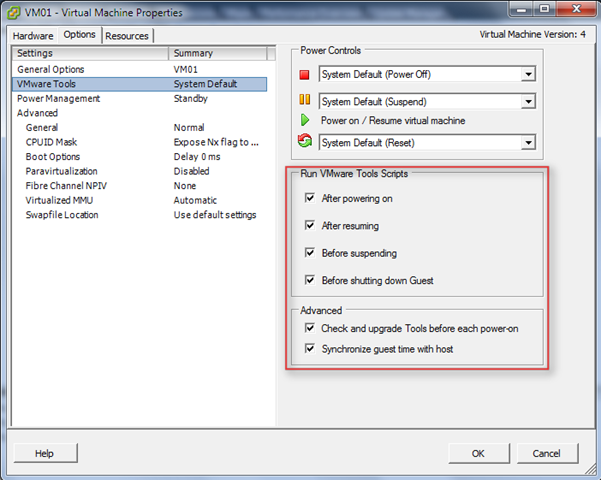 Do the VMs need to be in “power off” state to apply these settings via PowerCLI? ?